The Beatles 50 Years Ago Today: November 1, 1968. Beatles Radio: The Beatles, Solos, Covers, Birthdays, News The Fab 4 and More! 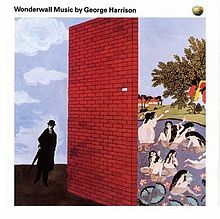 Unfortunately, Wonderwall Music did not make it to the charts in the UK, although it reached number 49 in the US in early 1969.